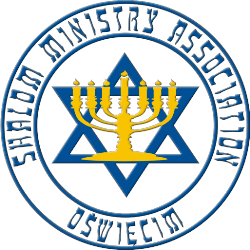 An extremely important ministry that has been functioning since 1999 is that of helping the poverty stricken Jews in Ukraine. One part of this aid is the running of a soup kitchen for 50 people in Shepetovka, where hot dinners and suppers are served from Monday to Friday. The soup kitchen is not only a place where the meals are served , but also the place where those provided with help are included in other forms of assistance. Meals are delivered to the homes of those who are ill or disabled. The majority of those who receive this help are elderly, lonely and living in abject poverty. Far from improving, their financial situation is getting worse day by day. Many of the people who attend the soup kitchen are very moved and grateful for the help and say that without it they would probably die of starvation. We can see God's special blessing in this ministry which enjoys the prayer and financial support of many believers. It is thanks to this, that the Lord has given us greater possibilities to minister to the Jews in Ukraine. In cooperation with the Shamash Foundation we support a soup kitchen for 20 people in Vinnitsa. Our dear friends whom we help are largely the elderly, ill and lonely. The soup kitchen is a place to eat and to spend time together with other people. As they often tell us it is a second home for them and a place where they can celebrate the Feasts and share both joy and sadness.